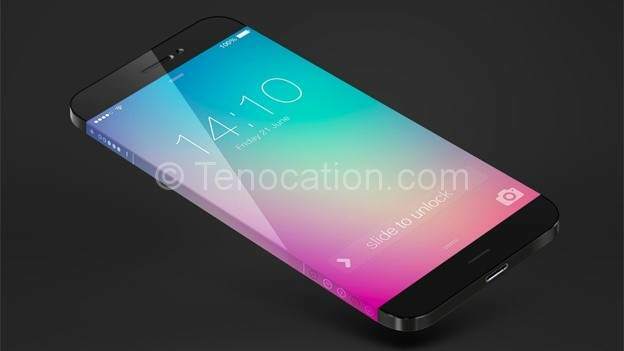 The speculative name of the Apple’s modish, brand new product is iPhone 6 (the name as presumed by the world). A lot of pressure is heaped on this launch of Apple’s, as social networks are going wild with their imagination and furling new rumors and speculation about its price, specifications and differences from old iPhones every other day. Here, we collected some of the precise rumors and leaks to quench the rising curiosity. September 9, 2014, is the most anticipated date for iPhone 6’s release or announcement at least. Most of the Apple’s recent launches have taken place in the month of September with a special event. If Apple goes with its original flow, September 9th will be the apt day for its new launch as Apple will not like to clash iPhone 6’s release with the release of the new iPad Air (expected in later weeks of October). Nevertheless, as we know, Apple does not always repeat its old patterns; the exact date is still unconfirmed. It won’t be cheap! With every new device, Apple has magnified the quality as well as the cost. Of all the fresh elevations, a hike in price is a certain guess; if iPhone 6. However, it will not be as massive as many are anticipating because Apple needs to stay competitive with fellow Smartphone as well. For iPhone lovers, the most stirring rumor can be that the size of iPhone 6 is going to be bigger than that of iPhone 5S. If we look at how Apple increased the Screen’s standard density display of iPhone 5 to 1136 x 640, 4-inch from iPhone 4’s 960×640, 3.5 inch; it will be clear that enhancements are gradually increased after every two years. With iPhone 6; 4.7 and 5.5 inch models are rumored to be coming our way this September. The most recent rumor is said to be leaked from some inside stats that “iPhone 6 will be adorned with pixel-tripling display with a screen resolution of 1704×960”. However, the wait can be longer for the 5.5 inch iPhone 6, as its undergoing some production problems. Another good news is that “it is speculated that Apple will use Sapphire-glass with Anti-smudge coating, for iPhone 6’s screen” which will make it almost unbreakable. There is no guaranteed rumor though, but it is assured that iPhone 6 will be a royal feast for the iPhone lovers. Processor: Apple iPhone 6 will work on iOS 8! That is the most anticipated rumor that we all want to be true. Camera: The iPhone 6 is speculated to have a 13 megapixel camera with OIS (Optical Image Stabilization) software. Design: iPhone 6 is rumored to be the slimmest of all other iPhones till now. Many photos have been leaked showing off this exceedingly slim and slender Smartphone. Also, the power button is said to be moved to the side from the front. NFC: As the rumors state, the contact-less technology-NFC, popular in android, is now going to be available in iOS too with the launch of iPhone 6. Touch ID: In addition to Apple’s PrimeSense acquisition, Touch ID is going to be the greatest hardware addition. Radios: 802.11ac Wi-Fi, as available in MAC is speculated to be embellished in iPhone 6 now. iWatch and Health: The much awaited iWatch and Health apps are going to be a part of iPhone 6, as seen in a handful of rumors. Wireless Charging: It is reported by CP Tech Reports that Apple has filed a patent on wireless charging and the rumor is iPhone 6 may just support it. With extravagant Features, never seen before, Apple’s iPhone 6 is certainly envisioned to rock the Smartphone’s market!